[S676] Gary Boyd Roberts, Presidents 2009 Edition, page 191. Samuel Elwell was born on 14 March 1660 at Gloucester, Essex Co., MA. He was the son of Samuel Elwell and Esther Dutch. Samuel Elwell died in 1695 at Branford, New Haven Co., CT.
Laura Burnett was born in May 1853 at OH.1 She married Dannel Holcombe, son of OH Holcombe, circa 1872. [S676] Gary Boyd Roberts, Presidents 2009 Edition, page 198. Gloria Jean Steele was born on 6 January 1946. She was the daughter of Harry Edward Steele and Jean Lenore Holcombe. Gloria Jean Steele died on 16 April 2010 at age 64. Louis Victor Prince of Carignan was also known as Luigi-Vittorio di Savoia. He was born on 15 September 1721. He was the son of Prince Victor Amadeus and Maria Vittoria Francesca (?) Louis Victor Prince of Carignan died on 16 December 1778 at age 57. Roscoe and Anna were enumerated in the 1910 Indianapolis, Marion Co., IN, federal census. He was a brass worker, age 27; she was 27. The only child in the household was Frank, 5. Roscoe and Anna were enumerated in the 1920 Indianapolis federal census. He was a fireman, age 38, she was 36. Children in the household were Francis 15, Philip 3 years, 4 months, and James 1. "Rosco" and "Annie" were enumerated in the 1930 Indianapolis federal census. He was a fireman, age 49, she was 46. Children in the household were Frank 24 a bank cashier, Phillip 13, and James 12. Roscoe and Anna were enumerated in the 1940 Indianapolis federal census. He was an assistant chief in the local fire department, age 59, she was 56. The only child in the household was Phillip, 23. Services for Roscoe A. McKinney, 84, 41 W. 32nd, retired fire chief and former city councilman, will be at 8:45 a.m. tomorrow in Feeney-Kirby Moruary and at 9 a.m. in SS Peter and Paul Cathedral. He died yesterday in Memorial Clinic. 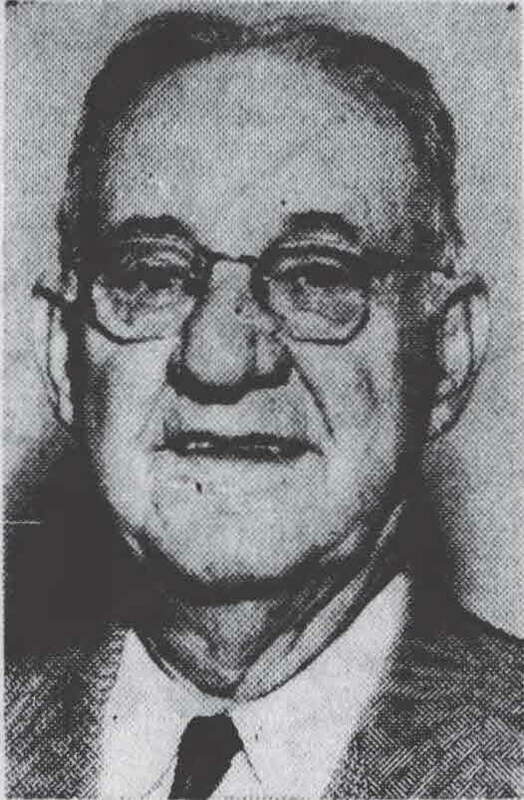 McKinney was a member of the Fire Department 39 ears and served two four-year terms as Democratic member of the City Council beginning in 1955. He was the father of Frank E. McKinney, board chairman of American Fletcher National Bank & Trust Co., and a former Democratic national chairman. Survivors include two other sons, Phil A., Indianapolis, and James R. South Bend. McKinney held every rank during his service with the Fire Department. He retired in 1951 and was a member of city, state and national firemen's associations. The family asks that friends make contributions to the 100 Club, of which McKinney was a member. He was also a member of Sacred Heart Catholic Church, the Knights of Columbus Council 437 and the Knights of St. George. [S807] Find A Grave, online http://www.findagrave.com, Find A Grave, database and images (https://www.findagrave.com : accessed 12 March 2018), memorial page for Roscoe A McKinney (1881–1965), Find A Grave Memorial no. 100652920, citing Holy Cross and Saint Joseph Cemetery, Indianapolis, Marion County, Indiana, USA ; Maintained by Graham (contributor 47523793) . This Hannah also married 1st, Trumbull, and 2nd Strong. Arthur Frederick Tuller was born in 1864. He married Ella Jane Case, daughter of Lewis Wesley Case and Angennette Bacon, on 18 March 1889 at Hartford, Hartford Co., CT.
[S713] Rhonda R. McClure, Thomas Brigham, page 38. [S713] Rhonda R. McClure, Thomas Brigham, page 17. [S713] Rhonda R. McClure, Thomas Brigham, page 18. Willis and Frank were enumerated in the 1880 Chagrin Falls, Cuyahoga Co., OH, federal census. He was 32, she was 36. The only child in the household was Bertie 3. Willis and Frank were enumerated in the 1900 Chagrin Falls, Cuyahoga Co., OH, federal census. He was a day laborer, age 53, she was 56. There were no children in the household. Grace Wohlfile was born circa 1876. She married Daniel H. Hayden, son of Daniel Hiram Hayden and Genevieve J. Hayerman. Grace Wohlfile died on 4 September 1929 at Cleveland, Cuyahoga Co., OH. Helen C. Hayden was born on 2 December 1904 at Cleveland, Cuyahoga Co., OH. She was the daughter of Daniel H. Hayden and Grace Wohlfile. 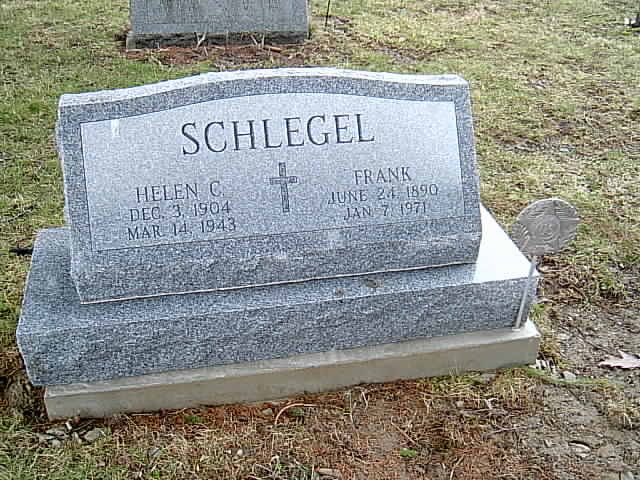 Helen C. Hayden married Frank Schlegel.1 Helen C. Hayden died on 14 March 1943 at Jefferson, Ashtabula Co., OH, at age 38. [S182] Social Security Death Index (on-line), Ancestry.com, SSDI, Ancestry.com, SSAN 271-01-4713. Lovice Nott was born in February 1764 at East Haddam, Middlesex Co., CT. She married Shadrack Moore, son of Shadrack Moore and Miriam Stevens, in 1787 at Southwick, Hampden Co., MA. Lovice Nott died on 19 August 1796 at Southwick, Hampden Co., MA, at age 32. Could "Hallen". "Hallon". or "Hallow", be Holland Holcombe, son of Sherlock Holcombe? Hallen and Julia were enumerated in the 1860 Hudson, Summit Co., OH, federal census. He was a painter age 30, she was 23. Children in the household were Emma 3 and Frank W. 9 months. Hallon and Julia were enumerated in the 1870 Cleveland, Cuyahoga Co., OH, federal census. He was a house painter age 39 she was 33. Children in the household were Emma 13, Frank 10, and Burton 8. Hallow and Julia were enumerated in the 1880 Cleveland, Cuyahoga Co., OH, federal census. He was a painter age 49, she was 43. Children in the household were Burton 17, Idae 9, and Julia 6 months. Julia was enumerated in the 1900 Cleveland, Cuyahoga Co., OH, federal census. She was a widow age 64. Children in the household were Frank W. 40, and Clara 21. Harriet C. Moore was born circa 1821. She was the daughter of Selden Moore and Philura Holcombe. Harriet C. Moore married Samuel Lashure. Samuel "Lasure" and Harriet were enumerated in the 1860 Andover, Ashtabula Co., OH, federal census. He was a farmer, age 34, Harriet was 38. Children in the household were Florence 10, Henry 4, and Maria 5 months. Samuel and Harriet were again enumerated in Andover in the 1870 federal census. He was a farmer 44, she was 47. Childen in the household were Florence 20, Albert 14, and Maria 10. Samuel and Harriet were again enumerated in Andover in the 1880 federal census. He was a farmer 55, she was 58. The only child in the household was Maria, 20. Dannel Holcombe was born in August 1851 at OH.1 He was the son of OH Holcombe.1 Dannel Holcombe married Laura Burnett circa 1872. Dannel and Laura were enumerated in the 1880 Chagrin Falls, Cuyahoga Falls, OH, federal census. He was a laborer age 27, she was 27. Children in the household were Mary 4 and Ella 1. Also in the household was Brother-in-law Otis Burnett 28. Dannel and Laura were enumerated in the 1900 Chagrin Falls Federal census. He was 48, she was 47. Children in the household were Dan 19, Jennie 17, Susan 11, and Howard 9. They had been married 27 years and had 7 children, six still living. Elva Hodge was the son of John Eber Hodge. John S. Hodge was born circa 1825. He was the son of Eber Hodge and Abigail Elwell.1 John S. Hodge died in December 1850. John S. was enumerated in the 1850 El Dorado Co., CA, federal census. He was a mioner, age 24, born in Ohio.